In Georgia, a driver is legally intoxicated if their blood alcohol content (BAC) is .08% or higher or if the driver does not possess the normal use of mental or physical faculties by reason of alcohol consumption. Despite the common knowledge that a drunk driver’s reaction time is decreased by consuming alcohol, drunk drivers continue to put their lives and others at great risk. Our Firm has extensive experience handling claims for all types of motor vehicle collision due to intoxicated drivers, including but not limited to motorcycle, car, truck, moped, and bicycle accidents. As an experienced Atlanta Accident Lawyer I will promptly and thoroughly investigate your case to assess damages and determine fault. Once hired, I will communicate with the insurance company on your behalf. I will give them only the information they need to evaluate your claim and protect your privacy. If the insurance company refuses to recognize the true value of your case, I will not hesitate to file suit and present your case before a jury so that you can be awarded the compensation you deserve. Innocent victims harmed by drunk drivers are entitled to compensation for their injuries, including but not limited to medical expenses, lost wages, pain and suffering and mental anguish, physical impairment and disability, and most importantly, punitive damages to deter future conduct. Those who have lost a loved one because of a drunk driver will want a Atlanta Drunk Driver Accident Lawyer to bring a wrongful death action against the drunk driver. A collision caused by a drunk driver can dramatically alter a person’s life, especially when the injuries are catastrophic, like brain damage, broken bones, spinal cord injuries, torn rotator cuffs, torn tendons or torn ligaments. Often times, even minor and moderate auto accidents can also cause painful injuries, such as whiplash, concussions, bruising, lacerations, and scarring. Because many injuries caused by vehicle accidents require expensive and extensive medical care, physical therapy, and possibly even surgery, you will likely need the help of an Atlanta Drunk Driver Victims Attorney. The insurance company for the drunk driver whose actions caused the collision will start an investigation immediately. It is the insurance company's responsibility to try to limit the compensation of the injured person to the lowest possible amount in order to protect their profits. Insurance companies have established very specific and elaborate policies on handling auto accident claims, especially in the early stages. Insurance company will take recorded statements from the persons involved in the car accident, have the vehicles examined, have photographs taken, obtain the police report and try to establish the extent of the injuries suffered in the auto collision. The insurance company is usually completes these tasks within the first week after the auto collision and many of them within the first 24 to 48 hours after the auto collision. Insurance companies try to reach a quick settlement with an injured person. They often do this before the true extent of you injuries are known. Their purpose is to avoid responsibility for future medical expenses, lost wages and other damages that are likely to develop. This is a situation that an experienced Atlanta Auto Injury Attorney can help you avoid. When a person is injured in an auto accident, it very often takes months to completely assess the person's injuries. At that point, the person may need surgery, physical therapy or other extensive treatment. The injuries may even leave the person permanently disabled. Therefore, the true value of a claim can only be assessed after most of the medical treatment has been completed. The State of Georgia provides in most, but not all, cases a two-year period of time in which to file a lawsuit on a claim. Accordingly, there is no need to rush to a settlement with an insurance company. 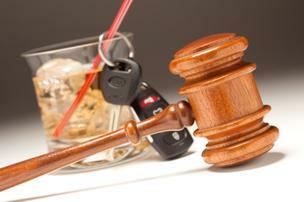 There are other significant issues that develop for persons injured in a car accident. For instance, if your health insurance company pays for your medical bills they will very often seek reimbursement from your settlement with the other driver's insurance company. There are several legal limitations on these rights to reimbursement. An experienced Atlanta Auto Injury Attorney can use Georgia law to maximize the amount of recovery that you, the injured individual, gets to keep. If you were on the job when injured, the workers' compensation insurance company will try to obtain reimbursement of their payments for medical expenses and lost wages. There are several legal limitations on these rights to reimbursement as well. An experienced Atlanta Auto Injury Attorney can use the various laws in Georgia to maximize the amount of recovery that you, the injured individual, gets to keep. These are important issues that you need to understand prior to agreeing to any settlement. An Experienced Georgia Auto Injury Attorney Can Often Find Additional Insurance Coverage To Help You Be Completely Compensated. Georgia law requires individuals to maintain liability insurance coverage for their automobiles. The minimum requirements for bodily injury liability insurance coverage in Georgia are $25,000.00 per person and $50,000.00 per accident. Since these insurance limits may be insufficient to completely compensate you, very often an experienced Georgia Car Injury Attorney must explore what other insurance is available to the responsible driver or the extent of the driver's personal assets. The responsible driver may have the right to coverage from insurance policies of family members, an employer, a rental car company or from an "umbrella" policy.